Ahmednagar , the largest district in the State. It is home to 19 sugar factories and is also the birthplace of the cooperative movement. Sugar, milk and bank cooperatives flourish here. Exactly 100 years ago, a great visionary was born in deep into the heartland of Maharashtra. Padmashree Dr. Vithalrao Vikhe Patil was one such visionary.The pioneer of Cooperative movement was bestowed a Padmashri for his Contribution to the community he belonged to. Born in the drought prone district of Ahmednagar in Maharashtra ( Western India ) in an ordinary peasant family, he was deeply moved by the pathetic condition of the rural masses. But he was also aware of the immense storage of resources hidden within the humble rural people. which could be tapped to combat poverty, illiteracy, disease and inertia among the rural masses. He had made a decision. He had decided to take the lead. His lack of formal education did not deter him from his chosen path. With his untiring efforts and the unfliching support from stalwarts like Shri. 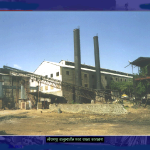 Vaikunthbhai Mehta as well as Shri.D.R.Gadgil, the first industrial co-operative venture in Asia – Pravara Sugar Factory (1948) was started. What started as a small step, soon developed into an approach that has since been widely recognised as The Pravara Model of Integrated Rural Development. He established the first sugar Factory at Pravaranagar for uplifting socio-economic condition of the farmers. A role model of water conservation work can be seen at Ralegaon-Siddhi, which is also called the Ideal Village. In 1975, when Anna Hajare, a retired army man, went back to his village in Ahmednagar district, Maharashtra, he found the village reeling under drought, poverty, debt, and unemployment. He decided to mobilize the people and, with the collective support of all the villagers, he began to introduce changes. Today Ralegaon Siddhi is being taken as a role model for other villages by the Maharashtra government and by other states too. Massive tree plantation has been undertaken, and hills have been terraced to check erosion. Large canals with ridges on either side have been dug to retain rainwater. As a result, the water table in this area is now considerably higher and the wells and tube wells are never dry, making it possible to raise three crops a year where only one was possible before. The villager’s biggest achievement is undoubtedly in the area of non-conventional energy. All the streets in the village are lit by solar lights, each with a separate panel. There are four large community biogas plants and one of them is fitted to the community toilet. There is a large windmill used for pumping water. A number of households have their own biogas plants. The village is self sufficient . The visionaries of the village, along with some youngsters, invited Mr. Popatrao Pawar for the gramsabha (village meeting). He was unanimously elected as the Sarpanch after he addressed the need for an all-round development of the village that touched a chord in the people’s hearts. Providing employment and their social and cultural activities. The village has managed to beat back drought and fight drinking water problems. In Hiware Bazar, they have implemented a drip-irrigation system throughout the village to conserve water and increase food production, and have avoided water-guzzling crops like sugar-cane and bananas. Soil and water conservation treatments – from contour blocking of rainwater, to afforestation, to trenching on private land, to built earthen structures and percolation tanks – all have played an important role. Together with the green agenda, the reformer in Hiware Bazar have also implemented a program for social change, which involved banning liquor, adopting family planning program, and rendering voluntary labour – called shramadan – to develope their village. Positive results are being reported from the field – the out-migration of villagers to nearby urban areas has been arrested; there is now an influx of families seeking better water, health and economic conditions. For Shri. Pawar, the young man who changed the image of the high-crime village, prone to infighting that was Hiware Bazar prior to 1989, there has been a positive fallout too, personally. 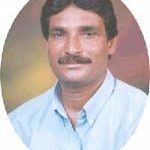 He has been elected the village head continuously since 1989 without opposition. Villagers in Hiware Bazar also decided at their local council meetings to ban the sale of village land to “outsiders,” and make HIV/AIDS testing compulsory before marriage. Shri. Pawar says that their experience shows it is easier to carry on such work without an influx of big money. Today, the village has been awarded the prestigious ‘Ideal Village’ status by the government of Maharashtra. The Campus is situated 35 kms from Ahmednagar on Nagar-Manmad highway. The campus is 10 km from Rahuri Railway Station and 110 km from Manmad railway junction. The basic mandate assigned to this University are advancement in teaching, research and imparting extension education to the farmers of the State. There are four Agricultural Universities in the State , catering the similar services in their locality. The jurisdiction of Mahatma Phule Krishi Vidyapeeth, Rahuri extends over Western Maharashtra covering ten districts. The University has two faculties namely Agriculture and Agricultural Engineering. The under-graduate and post-graduate programs are offered in both faculties. The University also deals with lower agricultural education through Agricultural Schools, Mali Training Centre and Training’s for Livestock Supervisors. The University has a very good network of research stations spread over different agro-climatic zones. In all 23 research stations, 4 State level specialists and 16 research testing/verification centers are located in different agro-climatic zones in addition to 4 Zonal research stations. Of the three fold functions, it is mandatory on the part of the University to transfer the technology from the research centers to the ultimate users through extension education program. 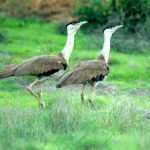 Beautiful birds called the great Indian bustard (Maldhok) which is not seen at any other place is seen in Karjat, Shrigonda, Newasa talukas. This region has been declared a sanctuary for these birds. The sanctuary occupies space of nearly 300 hectors. September to December is the best period to visit. 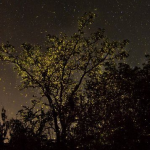 Between May 20 to June 30, in the forests of Bhandardara, Murshet, Mutkhel, Panjre, Ghatghar, Waki, Bari, Chichondi, Kumshet, Ambit and Ratanwadi at night in the dark fireflies are creating bright light on the trees of Sadhada, Behada. Due to thousands of fireflies on the same tree, tree is look like a Christmas tree.There are innumerable number of such tress decorated with fireflies can be seen in short span of 20 to 25 days.